Error in workflow cleanup. [Workflow Instance Id=somenumber] Error customizing vApp. Inner Exception: The administrator password cannot be empty when it is enabled and automatic password generation is not selected. 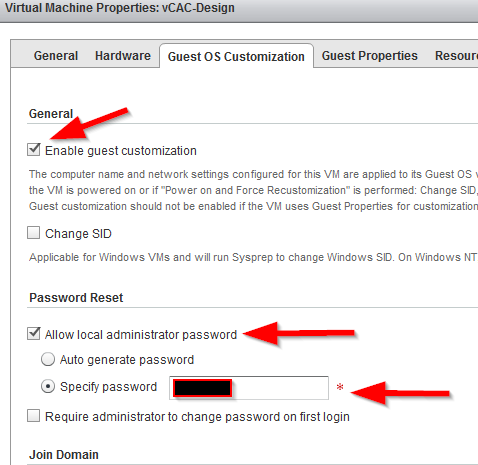 This is a 'feature' of the vCD 5.1.2 API and not a problem with vCAC. It seems that passing the administrator password through the API was removed as of that release. I understand that this is likely to be changed back in a future release - and I'll try to remember to update this post if/when that happens. For now, you will need to disable the password reset within the VM properties for any template you wish to deploy from a vCAC vApp blueprint.